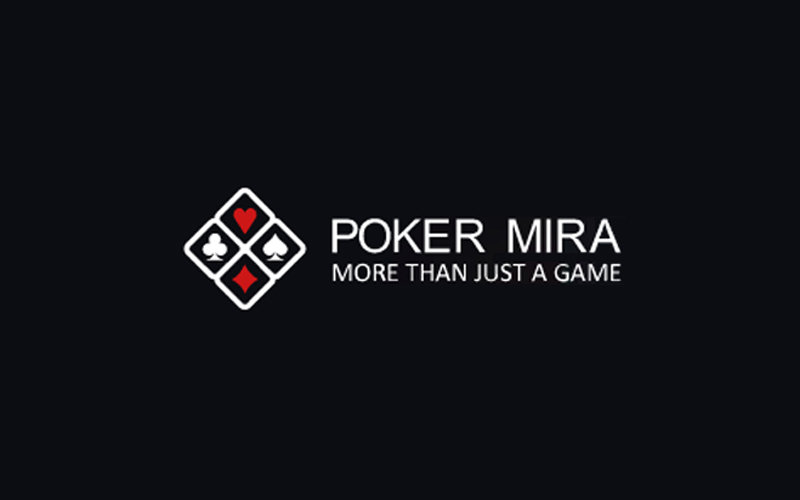 Poker Mira is a site whose main market is Russia. However, they have started expanding and growing outside of Russia over the past couple of years, large in part due to their 100% up to $2,000 bonus, daily rakeback offers, and soft games. They do NOT accept players from the USA, Turkey or Cyprus Island. Poker Mira offers a 100% up to $2,000 poker bonus and is currently ranked #2 out of 28 reviewed poker rooms with an overall score of 115.20. 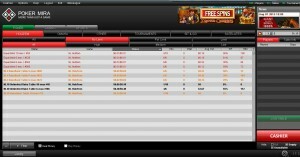 Visit PokerMira.com for more details and to download the official Poker Mira software. The deposit bonus described above is activated upon making your first deposit. There is no bonus code required. 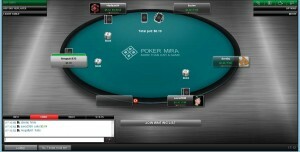 To qualify, you can use our links to visit PokerMira.com to help support our website. Then download the software, create an account, and the bonus will be applied upon making a deposit. Deposit $2,000 or more to qualify for the maximum bonus. Clearing the bonus is pretty straight forward. Play poker and earn VIP points. Every 200 VIPs earned will release $10 of the bonus. This means that 20 VIPs are worth $1. VIPs are earned at the rate of 6 per every $1 in rake or tournament fees generated. Since it takes 20 points for $1 of the bonus, and you earn 6 points for every $1 in rake, this means you have to pay $3.33 to earn $1, which comes out to a bonus value of 30% rakeback. A total of 40,000 points are required for the full $2,000 bonus which will require generating $6,666.67 in rake. Players are given adequate time to complete the bonus – 180 days. This sets the rake per day pace at $37.04 or 222.22 points per day. It’s still a challenge, but certainly possible. Daily rakeback of 28.5% is given for playing at specific tables labeled RakeBack Tables, Skirmish Tables, or Equal Blind Tables. If you choose to play at these tables while clearing the entire bonus, you will receive an extra $1,900 setting the VIP value at 28.50. Add the bonus value of 30% and you get an overall value of 58.50% rakeback. This is a pretty sick deal, and the fact that players are given 180 days to clear it makes it one of the best offers online. The below table shows an approximation of how many hands it will take to clear the full $2,000 bonus. These numbers may not 100% exact and should be used as an average to give you a general idea, rather than an accurate amount. This is because the rake generated varies widely based on playing style. In general, aggressive players generate more rake while more conservative players generate less rake. Therefore, if you tend to play more aggressive, it may take you fewer hands, whereas if you play more tight, it may take you more hands. If you’re looking to play now, you can visit PokerMira.com now from any device or platform and start earning your $2,000 deposit bonus! Looking to get started? Signup at Poker Mira through Bonus Ace by using the link above. New players can receive the 100% up to $2,000 opening bonus offered, described in this review.